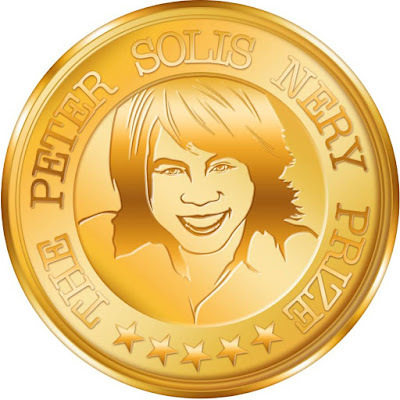 The Peter Solis Nery Foundation announces its first two categories for the 2016 Peter's Prize for Excellence in Hiligaynon Literature. They are: Labing Malip-ut nga Sugilanon Pangbata [Flash Fiction for Children], and Labing Malip-ut nga Sugilanon Panghamtong [Flash Fiction for Adults]. The contest will start on March 1, 2016, with a deadline of June 30, 2016. A story entry must be in Hiligaynon, and must be between 250 and 300 words; if mixed with other languages, it must have at least an 80% Hiligaynon vocabulary. For the Children Story category, the subject and theme is open and free, but the material should be suitable for children ages 6-9 [or Grades 1-3]. For the Adult Story category, the subject and theme is open and free, but stories about gender relations and issues are highly encouraged. Presently, Peter’s Prize does not distinguish between amateurs, professionals, or high school and college student writers. Peter’s Prize judges the entries by their literary merits, and not by the contestant’s age, or profession. Peter’s Prize is an easy contest to join. You can do it online. Just send your entry with your name, email address, and other contact information by email to: 500tinaga@gmail.com. Be sure to get your confirmation. If you don’t get a confirmation within a week, please re-send your entry. On the Subject Heading of your email, write the title of your story followed by the category (children or adult) in parenthesis. In the body of your email, be sure to include:  the title of your story,  the category (children or adult),  the story,  your name, and  contact information. It might be a good idea to number these details in the email for a quick check. Multiple submissions are allowed, and you can win more than one prize in each category. Entrants can ‘like’ The Peter Solis Nery Foundation page on Facebook so they can see receipt confirmations, and other contest updates. All submitted entries are eligible, subject to final selection and editing by Peter Solis Nery, for inclusion in anthologies prepared by the Foundation for the purpose of preserving and promoting new works of Hiligaynon writers, whether they are experts, established, professionals, students, or newbies. Cash prizes will be awarded to winners of each category: P5,000 for first prize winners; P3,000 for second; and P2,000 for third. First prize winners will also receive a specially crafted Peter’s Prize medallion. Awards ceremony will be held sometime in September 2016. Funded by The Peter Solis Nery Foundation, Peter's Prize is the biggest, most visible, and most prestigious literary contest in Hiligaynon today.